Get the guidebook / whitepaper for a look at how today's top data-driven companies scale their advanced analytics & machine learning efforts. 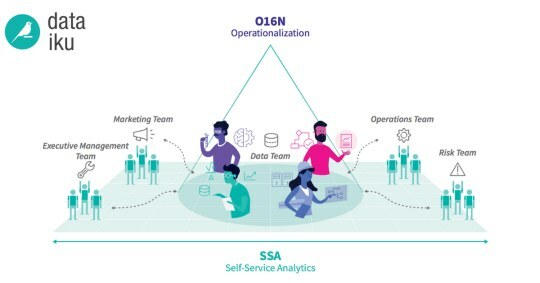 Many organizations with the hope of becoming more data-driven ask the question: self-service analytics (SSA), or data science operationalization (o16n) - which will get me where I need to be? And the answer is: you need both together. Access the white paper for a look at how today's top data-driven companies scale their advanced analytics & machine learning efforts.